It's officially summer, and nothing seems more appropriate then doing a post on waxing. I don't wear shorts, because I find them wholeheartedly uncomfortable, so for the hot months, I wear skirts and dresses virtually everyday. 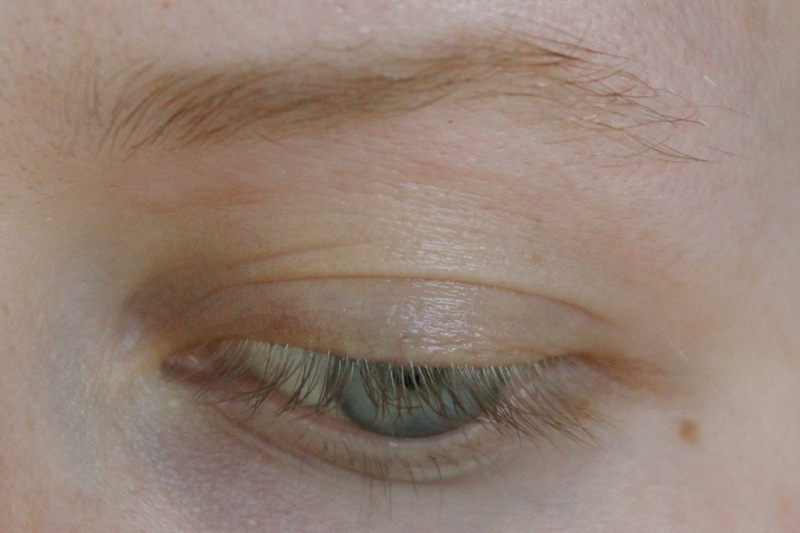 But that also means that you need to be more vigilant with your shaving or waxing routine. 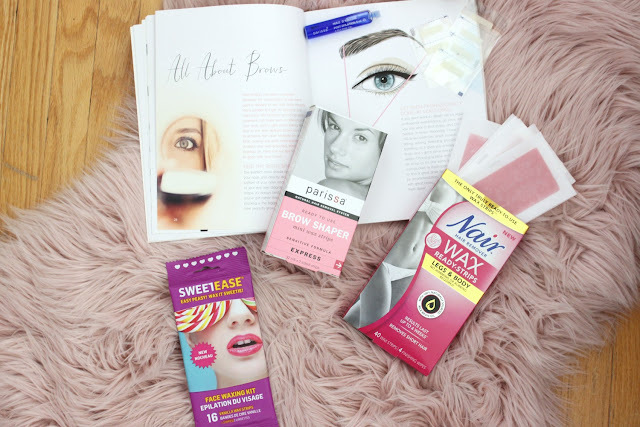 I was send a variety of different wax strips in recent weeks, so I thought I'd do a post on my thoughts for a few of the at-home waxing strips that are on the market. I put some photos of the Sweetease face wax strips in, but I didn't actually use them. Aside from my brow hairs, I don't have any unwanted facial hair. I'm quite lucky to have white-blond hair on my arms, legs, and face, which means that unless you look really close, it's hardly detectable. But I've heard some great things about it, so it may be an option if you're looking for something that's inexpensive. 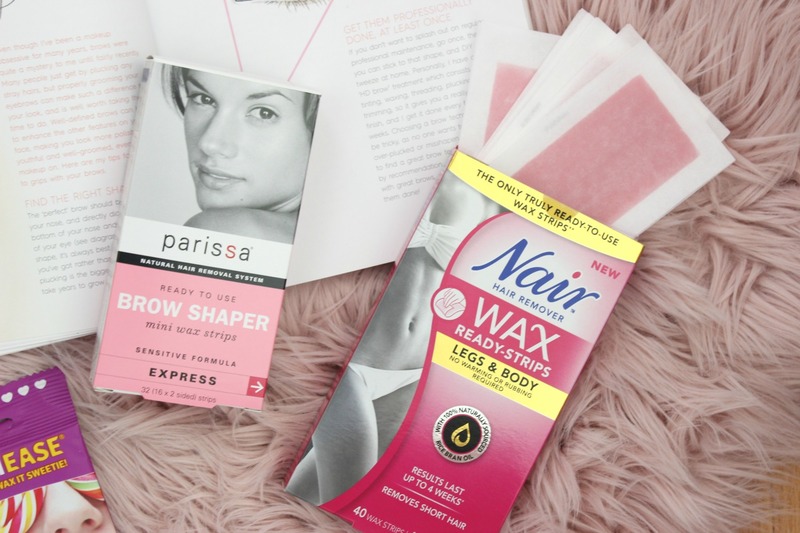 As for the Nair Wax Ready leg strips, I thought I would give those a try. The before and after photos did not turn out at all because my hair is so light. I tried setting the camera to a million different things, but nothing could capture it. So you're just going to need to trust me on this one. Personally? I'm not a fan. I found it to be a bit painful, and it really irritated my skin without actually removing much hair. I would say that in the areas I attempted to remove the hair, maybe 20% of the hair actually came out. Even after applying pressure to the area and using the oil-cloths after, I still had a lot of red bumps on my legs. These lasted for a few hours. You can kind of see here that not a lot of hair was removed. While it was a fuss-free, mess-free application (since there was no warming of wax or pre-treatment required) I still didn't think it was worth it. I spent a good half hour attempting to use the strips in every direction, applying various amounts of pressure, trying to get the darn things to work. I'll stick to my razor blades for the time being. The Parissa Brow Shaper was my favourite of the group. 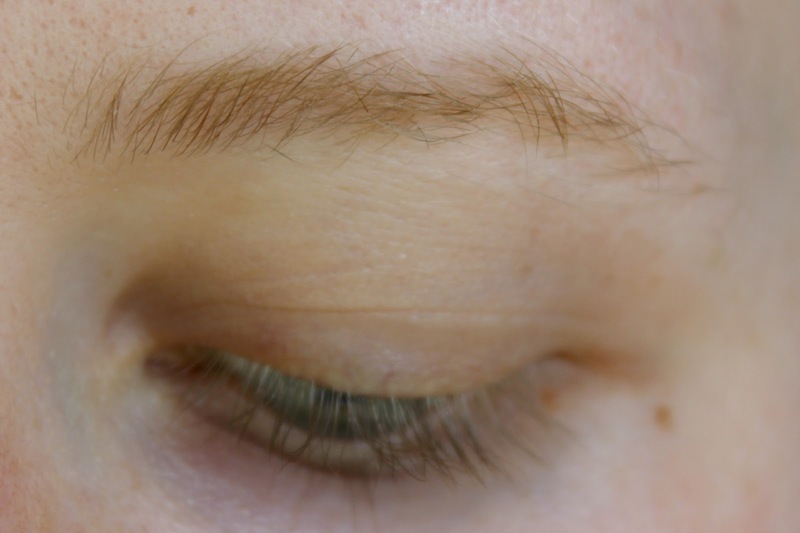 It was a bit tricky to get the strips in precisely the right area, especially around the arch, but you can definitely cut them to suit your eyebrow shape. 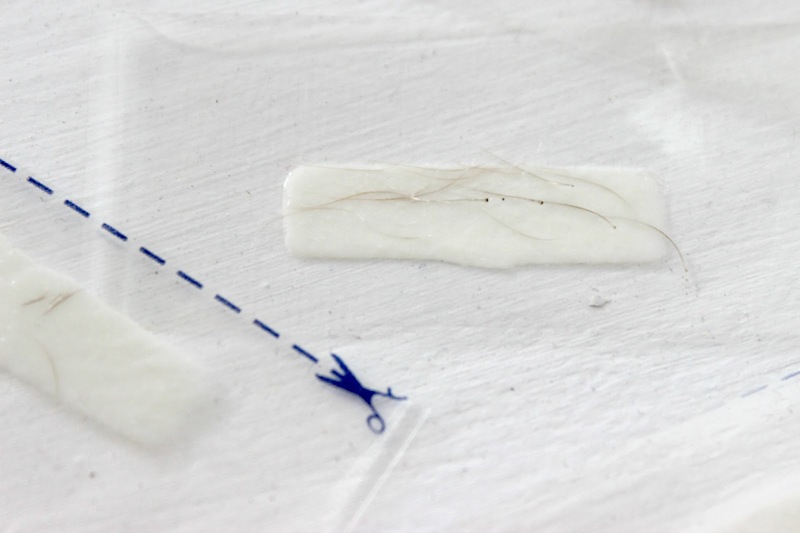 I found that they pulled out a surprising amount of hair, in a relatively quick way. The instructions were very clear, and the soothing oil you apply at the end felt very nice, although I did have some redness and a bit of swelling in the area for a few hours after. Which is completely normal for my sensitive skin. You can kinda of see the before and after here. Damn blonde hairs not photographing well. I mostly cleaned up the underside of my brows, but still tried and keep them really natural looking. The product was good at removing those pesky short, white fuzzy hairs that are impossible to pluck. 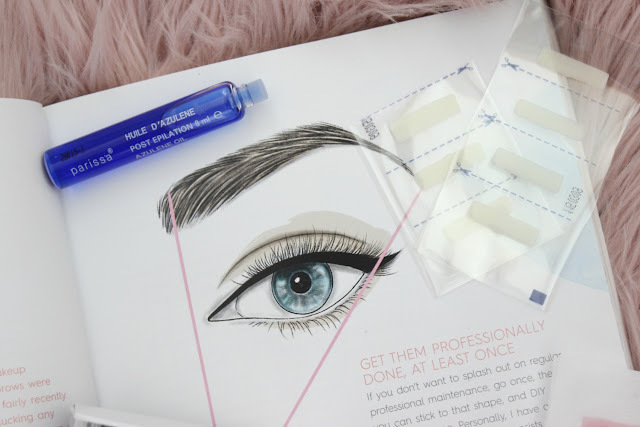 I think this is a good product if you want to maintain your brows between professional waxes. Overall, I think that the brow product was good, while there others were not to my speed. I think at-home waxing strips have come a long way. 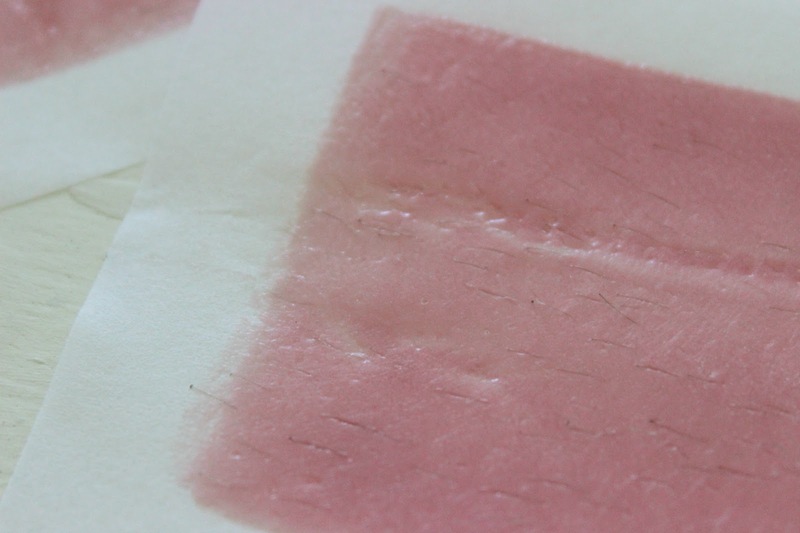 For me personally, the fine, blonde nature of my hairs make anything like this a really hard task, so maybe if you have more hair, or coarser hair, the strips would be more effective.